Microcurrent facials are big business right now; with many women choosing to undergo the treatment as an alternative to a face lift. The CACI facial (Computer Aided Collagen Introduction) – although may look scary – is actually completely pain-free. 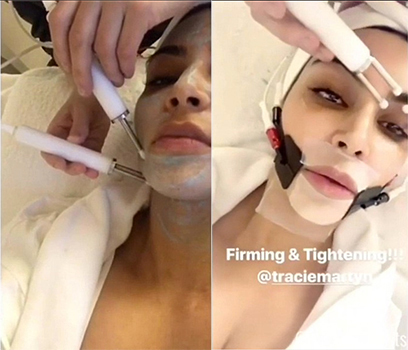 It works in the same way as Kim Kardashian’s facial – prongs are gently worked over the face to provide an instant face firming effect, which stimulates all of your 32 muscles you have. This works to gently soften the face, reducing the appearance of wrinkles and boosting collagen production. And the best news? It’s available at Renaissance! Caci Ultimate Facial has arrived! Beauty products have a shelf life….so don’t be a hoarder!